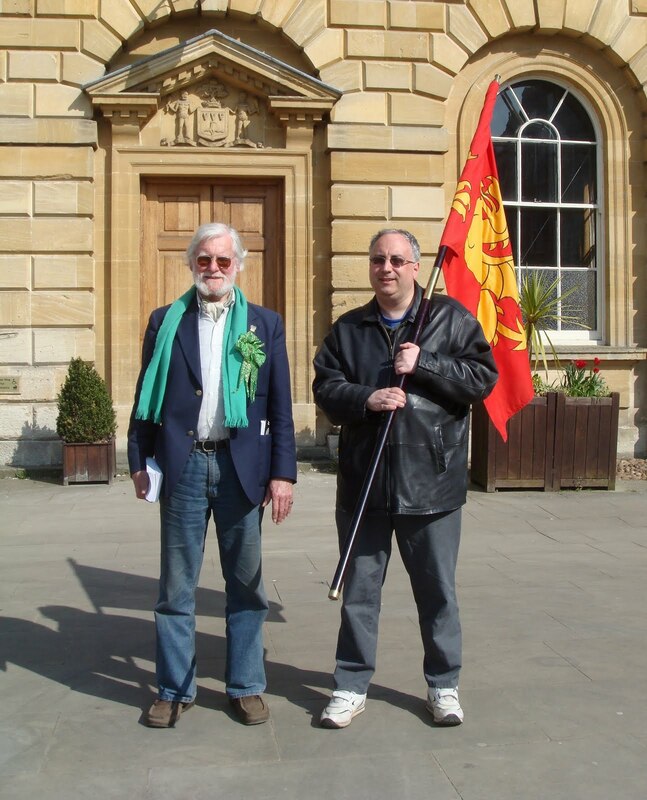 After a busy day today touring the constituency, taking in Witney, Minster Lovell and Carterton, our candidate Colin Bex was snapped (left) at Woodstock, with Nick Xylas as standard-bearer. Some 50,000 of our leaflets – headed ‘The Truth in Black & White’ – have gone off to the Royal Mail for delivery to constituents and should be hitting their doormats early next week. “Illegal wars; white-collar theft; ermine-flecked crime; ministerial bribery for personal gain, and now a national debt of thousands of millions of £s. This is but the tip of an iceberg pointing to further punishment and social unrest and it is why now as never before we all must ensure government changes from ‘top-down’ diktat to representative or ‘bottom-up’ democracy. We – as voters – are some of the only people who can ensure it happens.